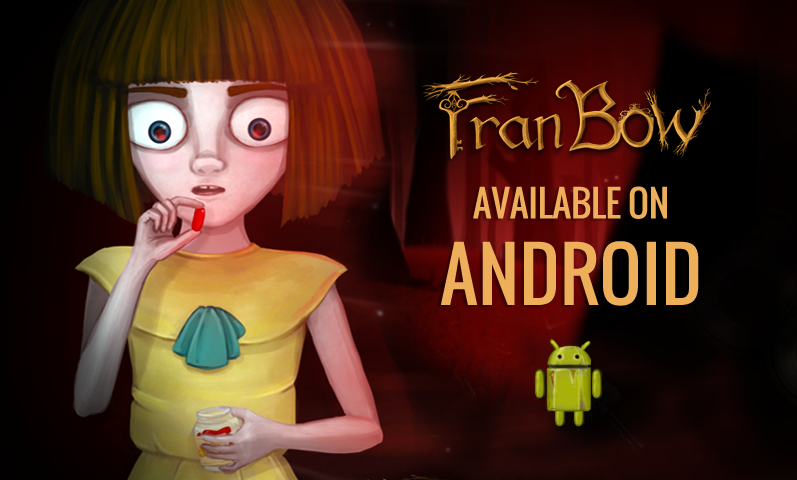 Post news Report RSS	Fran Bow released for Android! Finally, the great heroine Fran is available on android! You can get all the chapters seperately from Google Play right now and share the word :) We recommend you play it during the night, under your blanket, with headphones on. It took us longer than expected and if you are a iOs user you will have to wait for a bit longer still, since we are waiting for a little software update and then it's ready to go! Fran Bow on Google Play!